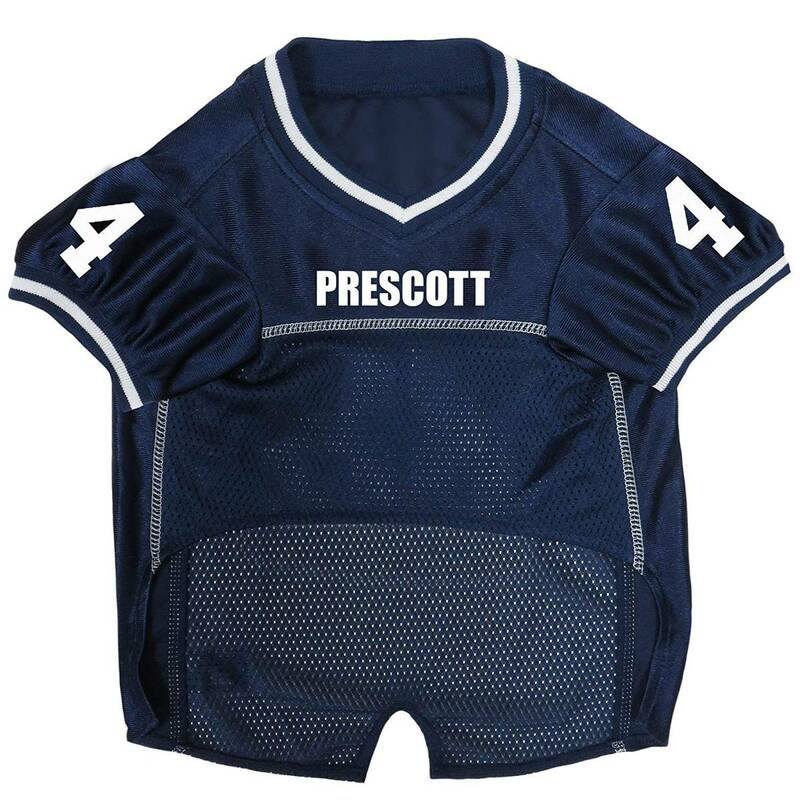 Dress your pet as your favorite player with this officially licensed NFLPA pet jersey featuring Dak Prescott's name and jersey number! 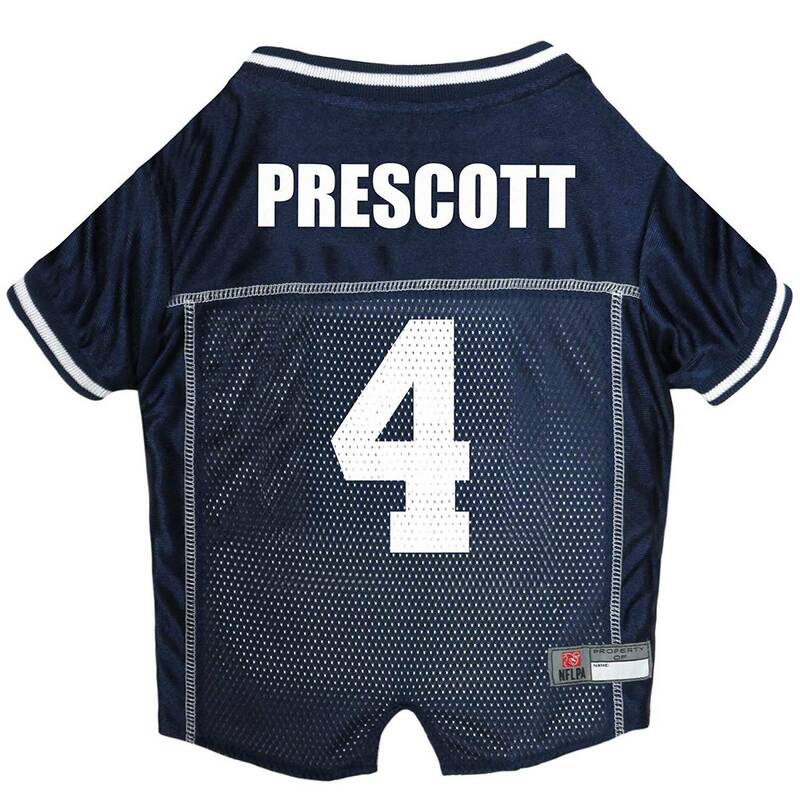 Dress your pet as your favorite player with this officially licensed NFLPA pet jersey featuring Dak Prescott's name and jersey number! Designed with screen printed graphics, over lock stitching detail, and woven trim on neck and sleeves.